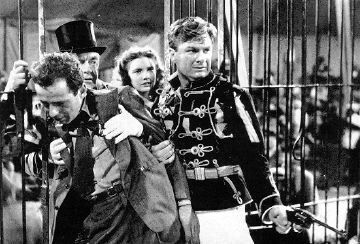 THE WAGONS ROLL AT NIGHT—–from 1941, is a silly 84-minute bit of circus blather. Humphrey Bogart fans will watch just for his sake, but otherwise what’s on view is foolish, directed by Ray Enright. Bogie runs the show. Eddie Albert plays a young clerk who inadvertently becomes a lion-tamer. Lightweight all the way, not believable in the least. Sig Rumann has a few good moments as the drunken oaf who Albert replaces as boss of the cat-act. 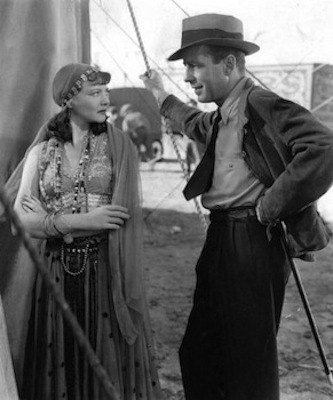 Bogart’s always worth observing, even in grade-C-minus material like this. With Sylvia Sydney and Joan Leslie. One of four movies Warner’s gave to Bogart that year. Another was the not-much better All Through The Night. Fortunately, for him and us, the other two were High Sierra and The Maltese Falcon: they launched him away from this kind of pap. Albert had been a circus performer in Mexico, performing high-wire stunts and playing a clown. While doing this he was also surreptitiously photographing Nazi submarines in Mexican harbors, working for Army Intelligence. Two years later, Albert would be a real-life hero, pulling 70 wounded Marines out of the bloody lagoon at Tarawa, winning the Bronze Star for bravery. 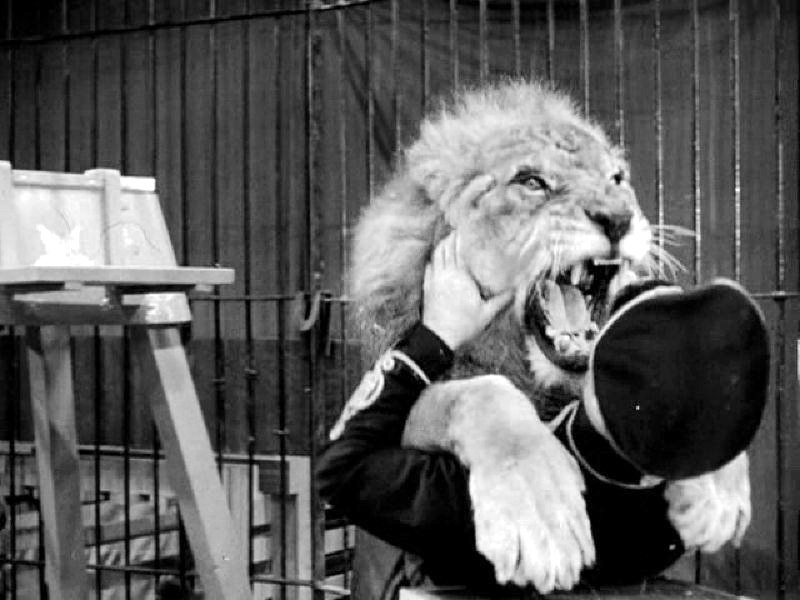 So, lion-taming—not such a stretch.